Endlessly sunshine and just good mood in a great company. I wore this outfit a couple of weeks ago on a beautiful Sunday. White was the base and I just added a green cardigan and printed scarf for a bit of texture. 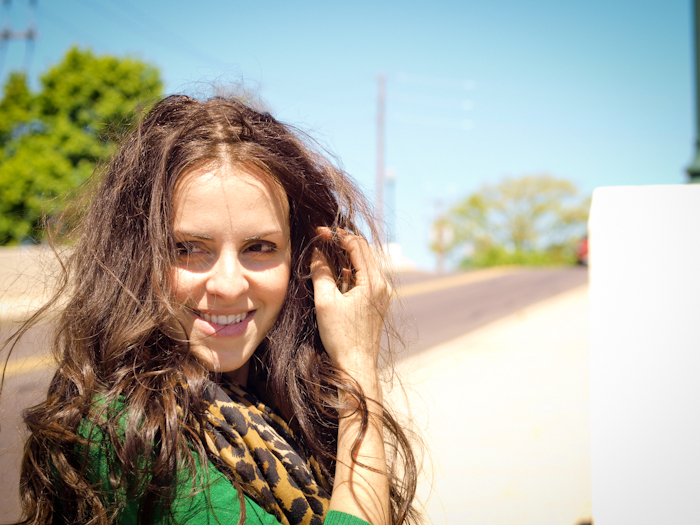 I hope you all have a wonderful weekend with a lot of sunshine ! Amazing color combo and you look lovely! The combination of Green and White is so GREAT my dear Veronica!!! !And plus with that beautiful scarf, I would say WOW!!!!!!! You have an amazing FIGURE my dear!!! Like a MODEL!!! Shoes are great, lovin it ! Gorgeous bracelet and bag! I like this outfit very much, you look great! Love these flats!! Perfect mix of print and color- green and leo! :) love it! Your pictures are pure art! Love your combination of colors as always. It’s a very nice outfit. fabulous look!!!!!! Love the green with the leopard! Lovely outfit, I love how it fit you. Kisses. You look so beautiful on these pictures, just like a model! You look so beautiful! Love the look. Lovely Victoria! I love picture one and seven!! Beautiful! love this outfit :) comfy and stylish! love your photos! and your look is so fresh! greta combination! and I love your hair! so beutifull! Amazing pics! You look fabulous! pops of cheetah are always fun! I love bright green and leopard!!! love the green and the leopard, they really pop up against the white! That’s the epitome of summer chic non-chalance! The white skirt t-shirt ensemble giving the illusion of a Calvin Klein minimal 90’s dress is perfectly paired with the elegant and playful ballerinas and of course the purse! Have an amazing Sunday sweety! Amazing outfit, the colors are so fresh! Love the skirt!! Great look! I feel like you do white bases with pops of colour better than anyone! 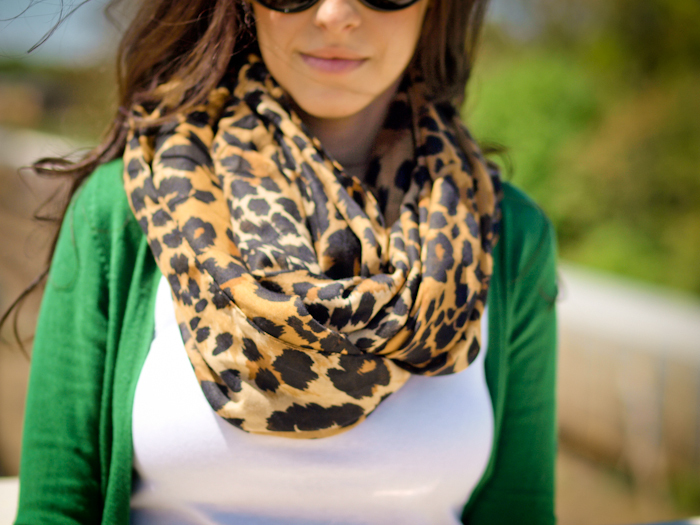 Love the forest green and leopard with the white, it’s such a great transitional look! The first pic is really amazing! You’re such a natural beauty! Emerald green matched with the leopard print is a truly stunning combination! Nice how you’ve added a pop of color and a print to a monochrome outfit!